Kerry businessman Noel Kingston has finalised the purchase of Midland Tyre Service (MTS). 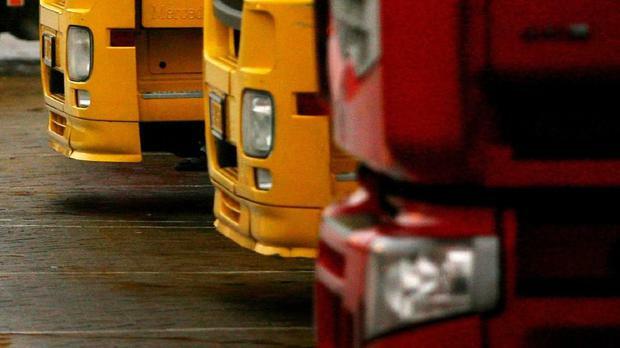 Kingston's company Valsyn completed the acquisition of the self-styled "A&E department" for the haulage industry in Ireland. Valsyn was backed by AIB Corporate Banking to fund the deal. The acquisition comes about following Valsyn's initial investment in the company in 2017, which saw it restructured and a debt deal agreed with UK finance house Close Brothers. MTS - based in Borris-in-Ossory, Co Laois - was established over 40 years ago by Martin Kirwan and grew significantly under the management of Mark Kane and Kevin Nolan to become one of the largest tyre wholesalers in the country. It also operates one of Ireland's biggest fleet-management divisions - including for numerous major Irish companies - providing tyre and breakdown support through 18 mobile units that attend 6,000 roadside call outs each year. Revenue at MTS has grown by 18pc over the last two years and staff numbers have grown by seven to 26, according to a statement by the company to the Sunday Independent. The most recent set of accounts published by MTS show profit before tax of over €3m for the year to the end of 2016. The company paid a dividend of €8.5m in that year, said the accounts. MTS has also invested in new systems including a new app to provide GPS co-ordinates of breakdowns, it said. It has expanded the number of locations it operates from and is investing in its existing bases. MTS also plans to further expand its breakdown fleet, increase its staff numbers and continue investment in technologies, it said. Since buying into the company in 2017, Kingston has strengthened the management team with a number of new appointments and in 2018 approached current owners Kane and Nolan in a bid to acquire the entire business. "MTS is a successful and well-managed business built up by Mark and Kevin," said Kingston. "I, and my new management team, saw an opportunity to take the business to the next level, to invest and grow the business further. Our success is based on the dedication and hard work of our staff in delivering an unrivalled service to our valued customers. "I and the new management team look forward to working together with our great staff and Mark and Kevin in their new roles as we start the next chapter in the story of MTS to serve our loyal customer base." Outgoing managing director Kane - who is to continue as a consultant - said his team had "worked very hard to grow the company over the past couple of decades to what it is today and we are proud to let Noel and his team now take it on to the next stage".